We know, we know, another blog post about yet another social media/blogging platform. If you haven’t heard of Medium or if you’ve resorted to covering your ears every time someone mentions the latest ‘it’ platform, just hear us out. In really basic terms, Medium acts as both Reddit and WordPress combined. It’s a platform that allows users to write, publish, and share content to a relevant community. How does Medium work for Higher Ed? The first thing to note about Medium is that it places an emphasis on quality content rather than on online visibility, SEO or site quality. It’s the viewpoint that matters not the views. This is a refreshing idea when you consider how hard it is to get your voice heard on most platforms, without an army of followers to promote you. So, for all you tired marketers out there, this could be for you. If you know you’ve got a clever, unique and genuinely useful blog post up your sleeve, why not try it out on Medium. If it’s good enough, it might just get read. If your university wants to set up a Medium account, it’s actually pretty easy. It employs a straightforward WYSIWYG editor that enables users to add headlines, images and video. There’s plenty of room for customization and each post contains an estimated reading-time in the sub-headline as well as social sharing buttons at the foot. 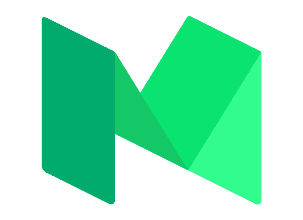 Medium is still a platform that’s developing but there does seem to be huge potential for Higher Education and content marketing success on Medium. The platform also features an impressive analytics dashboard denoting views, reads, read ratio and recommends. This gives you valuable insights into what content is hitting a homerun with your audience and what content is falling a little short of the mark. There’s also endless possibilities for using Medium as part of your student recruitment or research strategies. What do you reckon, is Medium something your institution is going to embrace? If you’re already a Medium convert let us know in the comments.